Owing to the wide experience in this domain, we are instrumental in offering Centrifugal Fan Blower to our clients. We are offering top notch quality Combustion Blower that are designed to provide optimum CFM volume and pressure of air with low power consumption. They are known for their reliability, efficiency, long service lives and could be used on various applications requiring low pressure air. We charge simple rates and always adhere to industry leading guidelines. Being a leading firm in this industry, we are deeply engaged in offering a high-quality range of Blower For ETP Plant. We offer a wide range of centrifugal blowers which comprise of housing, impeller and drive arrangements. These are specially designed for an efficient functioning and are available in the market in a variety of sizes. Our range of centrifugal blowers is appreciated by our customers all over the country it’s steady and oil-free air flow stream. Large variety of Blowers are manufactured and exported by us to our esteemed clients. 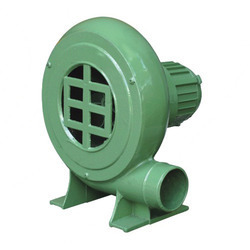 These blowers are highly demanded in industrial sector for various purposes. Our product is highly appreciated for its various features such as durability, dimensionally accurate, corrosion resistant, optimum quality, easy installation and operation. Our company offers a complete range of standard Single Stage Blower for flow rates from 25 cu. mt./hr through 10, 000 cu. mt./hr in single stage and up to any capacity in parallel configuration for working pressure range up to 1kg/sq. cm. These are available as total package units, ready to install or as bare blower units for replacement. 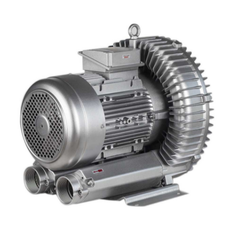 We are dependable and prominent manufacturer of a wide range of Blower. - Static Pressure : 6-250 mm water column Impellers are Statically & Dynamically balanced. - Applications : Ventilation, Extracting Air from closed rooms, Air-cooling and other related application. We have computerized selection and designing for industrial fans, industrial blowers, axial fans, mancoolers, plug fans, plenum fans, utility sets, etc. (very rarely used). Computerized selection is a foreign based designing technology that provides a wider range of options that best meets your requirment.